But obvs hope you stick around for tasty recipes mixed with a bit of chat. 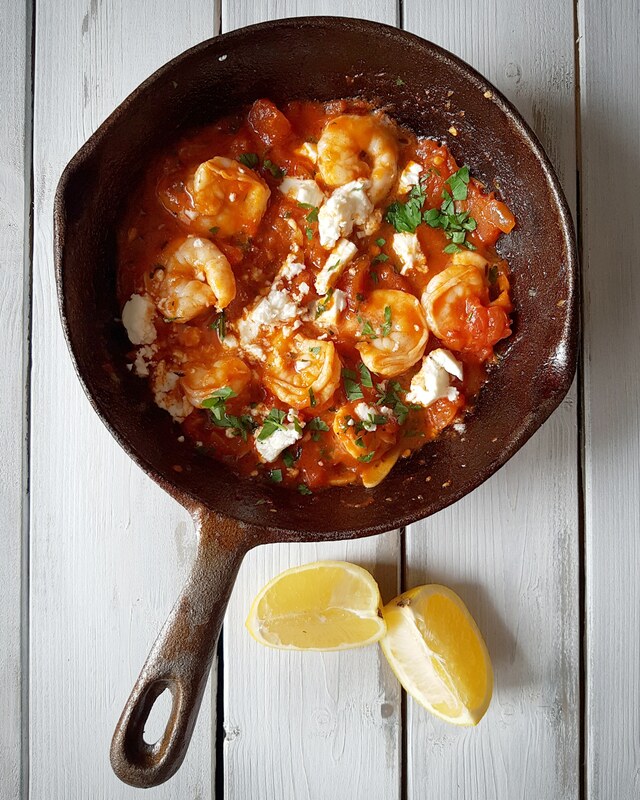 Let me tempt you with my latest Greek inspired dish Prawns and Feta Cheese. It’s a quick, light, dish perfect for sunshiny summery vibes. Step 1 Heat oil in frying pan, add onion and fry for a few minutes until translucent. Then add garlic and fry for a further minute. Step 2 Add a splash of ouzo or wine, and cook until evaporated, then add tomato its juice, chilli flakes, sugar and tomato puree. Stir and cook for a few minutes, then add prawns and cook until they have turned from grey to pink. Step 3 Remove from heat, and sprinkle on parsley and crumble in feta cheese. Garnish with a slice of lemon and serve immediately. Garida iuvetia, as it is called or something along these lines. Love this dish, I first tried in greece with my family some 40 years ago and never forgot it! Hi Fede, it’s certainly a dish that stays with you. Quick to make too – always a bonus.